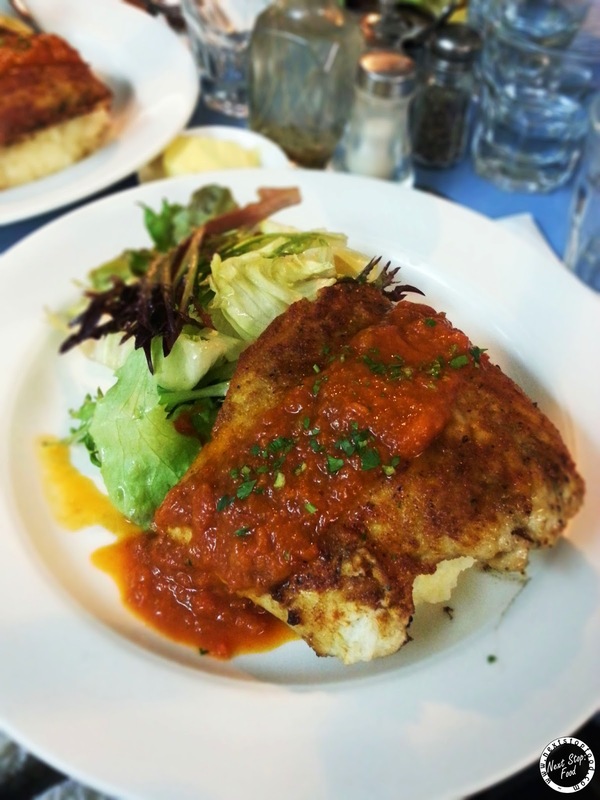 Next Stop: Food | Food Blogger located in Sydney Australia: Mohr Fish - Cosy place for good seafood! Mohr Fish - Cosy place for good seafood! 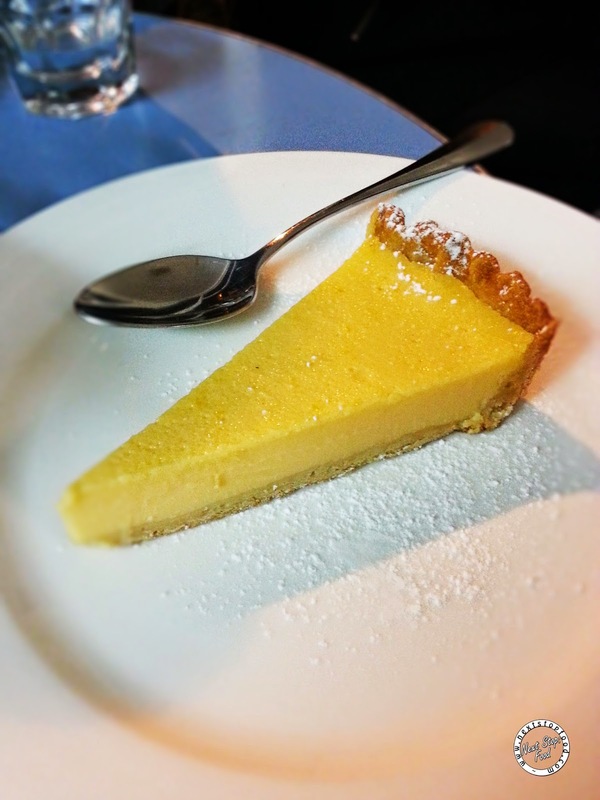 We ventured to Surry Hill's quiet side to go to this cozy small restaurant because of their Scoopon deal. For entrees, we have succulent fish dumplings! They also have perfectly cooked prawns inside and the dumpling wrapping was thin. 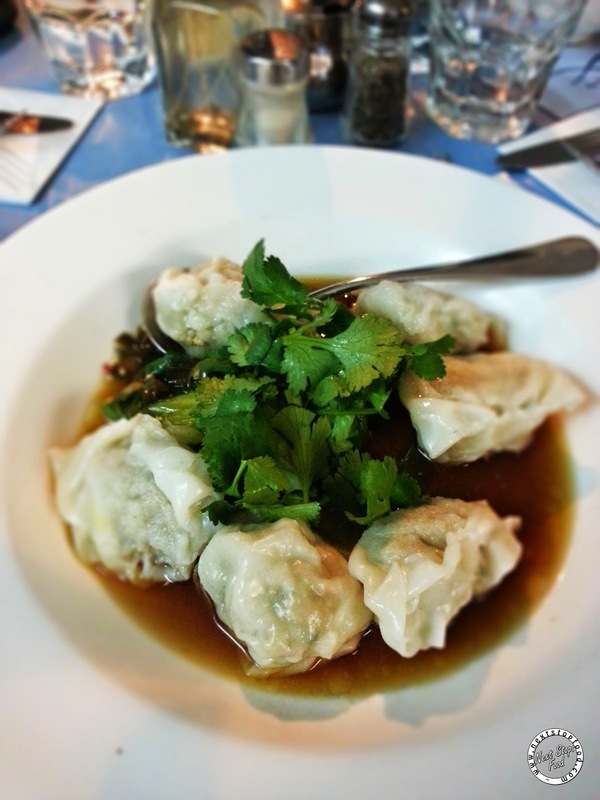 The light sauce with a hint of sesame oil complemented the dumpling so well along with coriander. 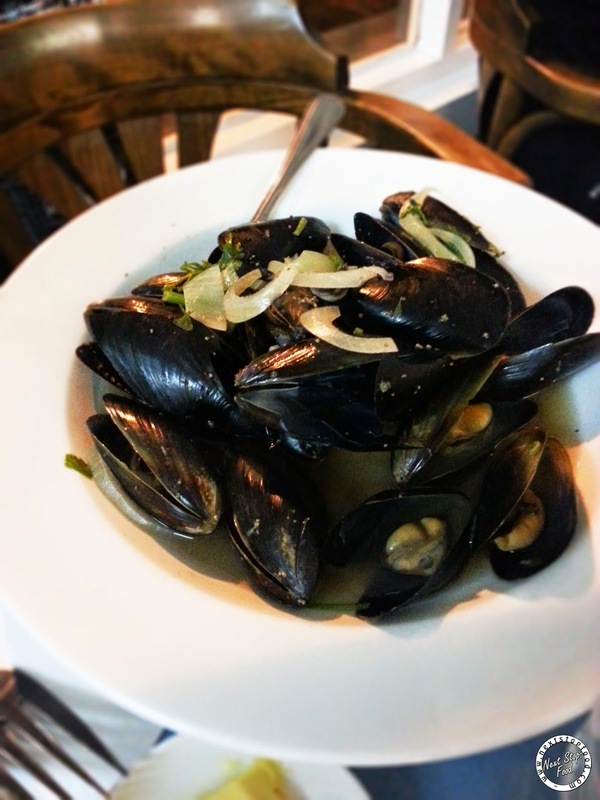 Mussels were fresh and the sauce was amazing. Bread was served to us which was used to soak up the sauce. VERY tempted to order more bread to soak up the sauce but wanted to leave tummy room for our mains! 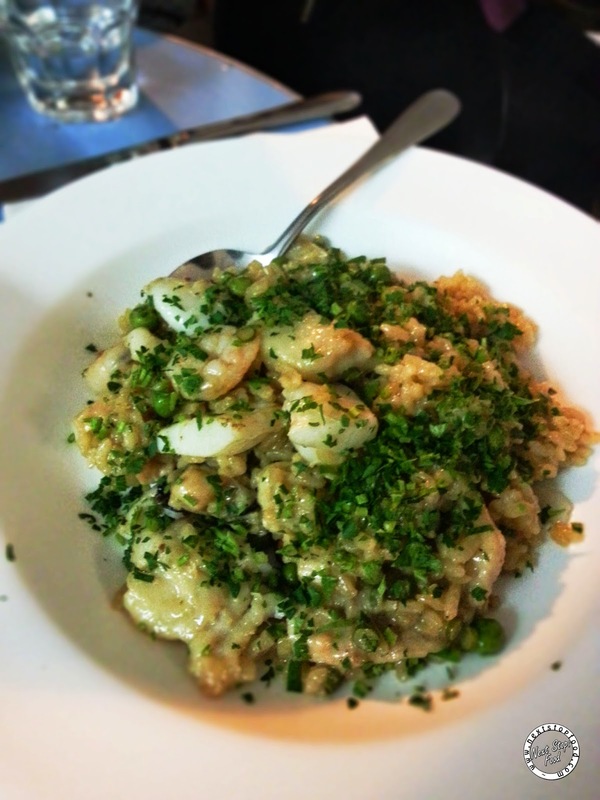 The risotto contained a vast range of seafood - barramundi, salmon, squid, prawns and mussels. You get a piece of seafood with literally every single bite, that's how generous their servings were! This was demolished in no time as it was absolutely beautiful in terms of cooking and seasoning. 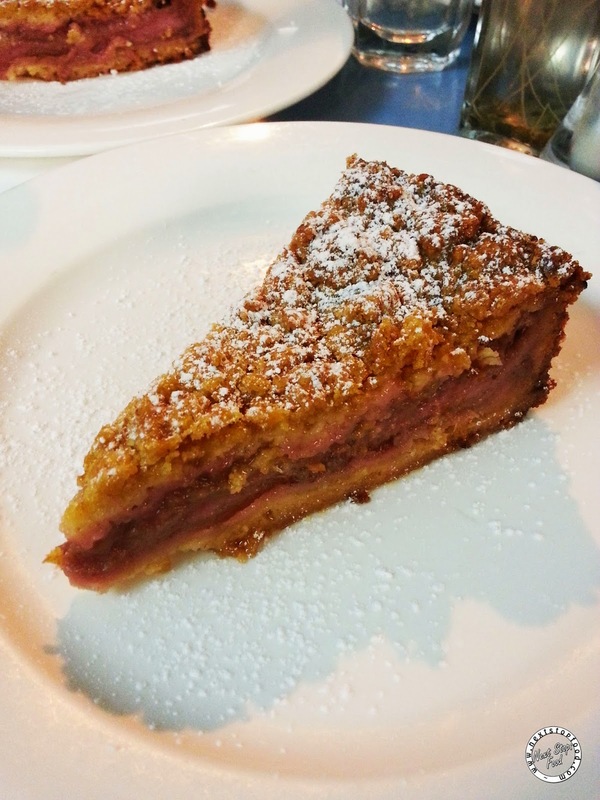 Unfortunately this was a bit too sweet and the pastry was undercooked. But this golden crumble was good. It wasn't overly sweet and it was perfect to finish our wonderful seafood dinner! Even though we went with a coupon, all the food and service were superb. All small shout-out to the friendly Swedish waitress who was very attentive and accommodating. One of us had sore throat and she was happy to serve her hot water over and over again. I would come here again for their seafood and what's more, parking isn't as difficult compared to the busier side of Surry Hills! The barra and risotto look good and I would be curious to know how much these two dishes were. Yes they were so fresh :) Unfortunately those dishes were only part of the purchased voucher so I couldn't provide the exact prices. Risotto and fish on the menu were around $20 but served with different ingredients. I love how it was perfectly cooked and had seafood in every mouthful! My dad is a seafood obsessor (beyond in love :P) and this place has a great range of dishes! Totally should take your dad here :) I'll definitely come back for their risotto! That risotto sounds fantastic. Haven't been here for ages, but I love their attentiveness to fresh seafood. Makes such a difference! I've always wondered about this place, used to walk past when I worked in Surry Hills but never ended up trying. The risotto sounds amazing! That risotto looks hectic awesome! It was so yummy ! !